简介: In this course we will learn about some of the many ways in which people behave in less than rational ways, and how we might overcome these problems. 简介: The basic biology of the virus, HIV, and the disease it causes, AIDS. The economic, social and political factors that determine who gets sick and who remains healthy, who lives and who dies. The progress of scientific research and medical treatments. The reasons for hope; the reasons for fear. 简介: This MOOC is aimed at anyone wishing to understand the basics of population health. Our aim is to prompt any participant to reconsider the decisions they make about their own health or the health of others (if they are taking the course as a health professional). 简介: L'objectif du cours est de permettre une compréhension pluridisciplinaire du dopage. Ce cours est une opportunité d'observer comment diverses disciplines abordent un même objet, selon différents angles et de manière complémentaire. Il s'agit également de donner des repères permettant d'appréhender le dopage dans sa complexité. 简介: The Total Leadership approach will help you become a better leader by having a richer life and have a richer life by becoming a better leader. Learn a practical, proven method for how to articulate your core values and vision; build trust with your most important people; and achieve "four-way wins" -- improved performance at work or in school, at home with your family, in your community, and for your self (mind, body, spirit). It's not about "work/life balance"; it's about creating harmony among the different parts of your life. 简介: Analyzes computational needs of clinical medicine reviews systems and approaches that have been used to support those needs, and the relationship between clinical data and gene and protein measurements. Topics: the nature of clinical data; architecture and design of healthcare information systems; privacy and security issues; medical expertsystems; introduction to bioinformatics. Case studies and guest lectures describe contemporary systems and research projects. Term project using large clinical and genomic data sets integrates classroom topics. 简介: This course consists of a series of seminars focused on the development of professional skills. Each semester focuses on a different topic, resulting in a repeating cycle that covers medical ethics, responsible conduct of research, written and oral technical communication, and translational issues. Material and activities include guest lectures, case studies, interactive small group discussions, and role-playing simulations. 简介: This seminar based course explores techniques for recognizing, analyzing, and resolving ethical dilemmas facing healthcare professionals and biomedical researchers in today's highly regulated environment. Guest lectures by practicing clinicians, technologists, researchers, and regulators will include case studies, interactive small group discussions, and role-playing simulations. Professional conduct topics will include authorship, conflict of interest, data acquisition and management, and the protection of human subjects and animals involved in research programs. 简介: This course presents the fundamentals of digital signal processing with particular emphasis on problems in biomedical research and clinical medicine. It covers principles and algorithms for processing both deterministic and random signals. Topics include data acquisition, imaging, filtering, coding, feature extraction, and modeling. The focus of the course is a series of labs that provide practical experience in processing physiological data, with examples from cardiology, speech processing, and medical imaging. The labs are done in MATLAB® during weekly lab sessions that take place in an electronic classroom. Lectures cover signal processing topics relevant to the lab exercises, as well as background on the biological signals processed in the labs. 简介: An advanced course covering anatomical, physiological, behavioral, and computational studies of the central nervous system relevant to speech and hearing. Students learn primarily by discussions of scientific papers on topics of current interest. Recent topics include cell types and neural circuits in the auditory brainstem, organization and processing in the auditory cortex, auditory reflexes and descending systems, functional imaging of the human auditory system, quantitative methods for relating neural responses to behavior, speech motor control, cortical representation of language, and auditory learning in songbirds. 简介: Mechanical forces play a decisive role during development of tissues and organs, during remodeling following injury as well as in normal function. A stress field influences cell function primarily through deformation of the extracellular matrix to which cells are attached. Deformed cells express different biosynthetic activity relative to undeformed cells. The unit cell process paradigm combined with topics in connective tissue mechanics form the basis for discussions of several topics from cell biology, physiology, and medicine. 简介: This course covers cells and tissues of the immune system, lymphocyte development, the structure and function of antigen receptors, the cell biology of antigen processing and presentation, including molecular structure and assembly of MHC molecules, the biology of cytokines, leukocyte-endothelial interactions, and the pathogenesis of immunologically mediated diseases. The course is structured as a series of lectures and tutorials in which clinical cases are discussed with faculty tutors. 简介: Join us for a 4-week learning expedition exploring the exciting weather of the Great Lakes Region, changes underway, and societal impacts of our changing climate. 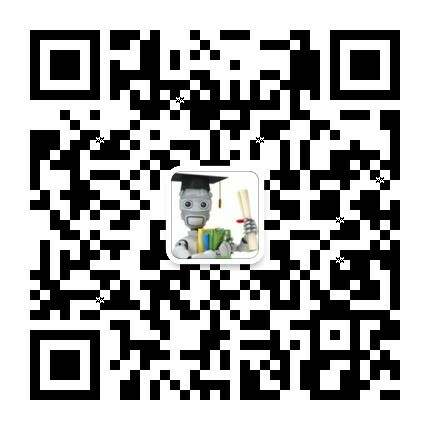 简介: 工程师沟通技巧专项课程系列（Communication Skills for Engineers Specialization）, 这个系列包含3门子课程，涵盖口头交流，人际沟通，写作技巧，领导力等，感兴趣的同学可以关注：Build Your Engineering Communication Toolkit-Build a toolkit of communication skills that gives you the confidence to be an engineering leader. 简介: This course introduces abstraction as an important mechanism for problem decomposition and solution formulation in the biomedical domain, and examines computer representation, storage, retrieval, and manipulation of biomedical data. As part of the course, we will briefly examine the effect of programming paradigm choice on problem-solving approaches, and introduce data structures and algorithms. We will also examine knowledge representation schemes for capturing biomedical domain complexity and principles of data modeling for efficient storage and retrieval. The final project involves building a medical information system that encompasses the different concepts taught in the course. 简介: Innovation in global health practice requires leaders who are trained to think and act like entrepreneurs. Whether at a hospital bedside or in a remote village, global healthcare leaders must understand both the business of running a social venture as well as how to plan for and provide access to life saving medicines and essential health services. 简介: Malaria, HIV/AIDS, Influenza, Measles - we’re in a constant battle against infectious diseases. This is a course about the dynamics of such diseases - how they emerge, how they spread around the globe, and how they can best be controlled. 简介: This course explores public health—both locally and globally—through the lens of epidemiology. 简介: This team-taught multidisciplinary course provides information relevant to the conduct and interpretation of human brain mapping studies. It begins with in-depth coverage of the physics of image formation, mechanisms of image contrast, and the physiological basis for image signals. Parenchymal and cerebrovascular neuroanatomy and application of sophisticated structural analysis algorithms for segmentation and registration of functional data are discussed. Additional topics include: fMRI experimental design including block design, event related and exploratory data analysis methods, and building and applying statistical models for fMRI data; and human subject issues including informed consent, institutional review board requirements and safety in the high field environment. 简介: This introductory course provides an overview of the principles of nutritional science. Subject matter includes description and functions of nutrients, digestion and absorption, effects of nutrient deficiencies and toxicities, requirements, food sources, nutrient interactions, dietary guidelines, and the role of nutrition in health and disease. 简介: The most recent knowledge of the anatomy, physiology, biochemistry, biophysics, and bioengineering of the gastrointestinal tract and the associated pancreatic, liver and biliary tract systems is presented and discussed. Gross and microscopic pathology and the clinical aspects of important gastroenterological diseases are then presented, with emphasis on integrating the molecular, cellular and pathophysiological aspects of the disease processes to their related symptoms and signs. 简介: How have advances in genetics affected society? What do we need to know to make ethical decisions about genetic technologies? This course includes the study of cloning, genetic enhancement, and ownership of genetic information. Course participants will acquire the tools to explore the ethics of modern genetics and learn how to integrate these issues into their classrooms. 简介: This course reviews the key genomic technologies and computational approaches that are driving advances in prognostics, diagnostics, and treatment. Throughout the semester, emphasis will return to issues surrounding the context of genomics in medicine including: what does a physician need to know? what sorts of questions will s/he likely encounter from patients? how should s/he respond? Lecturers will guide the student through real world patient-doctor interactions. Outcome considerations and socioeconomic implications of personalized medicine are also discussed. The first part of the course introduces key basic concepts of molecular biology, computational biology, and genomics. Continuing in the informatics applications portion of the course, lecturers begin each lecture block with a scenario, in order to set the stage and engage the student by showing: why is this important to know? how will the information presented be brought to bear on medical practice? The final section presents the ethical, legal, and social issues surrounding genomic medicine. A vision of how genomic medicine relates to preventative care and public health is presented in a discussion forum with the students where the following questions are explored: what is your level of preparedness now? what challenges must be met by the healthcare industry to get to where it needs to be? 简介: This course will assess the relationships among sequence, structure, and function in complex biological networks as well as progress in realistic modeling of quantitative, comprehensive, functional genomics analyses. Exercises will include algorithmic, statistical, database, and simulation approaches and practical applications to medicine, biotechnology, drug discovery, and genetic engineering. Future opportunities and current limitations will be critically addressed. In addition to the regular lecture sessions, supplementary sections are scheduled to address issues related to Perl, Mathematica and biology. 简介: This course will focus on understanding aspects of modern technology displaying exponential growth curves and the impact on global quality of life through a weekly updated class project integrating knowledge and providing practical tools for political and business decision-making concerning new aspects of bioengineering, personalized medicine, genetically modified organisms, and stem cells. Interplays of economic, ethical, ecological, and biophysical modeling will be explored through multi-disciplinary teams of students, and individual brief reports. 简介: Questions related to sexuality and reproduction are intimately linked to health, well-being and human rights. In this course, you will gain a unique opportunity to explore the field of SRHR together with participants from around the world, and to reflect upon themes and issues that are of global relevance. 简介: This course provides an overview of the issue of postharvest loss of grains by exploring essential physical, technical, and social dimensions of postharvest supply chains and loss prevention methods globally. 简介: A non-technical introduction to the contemporary application of computing to healthcare delivery, public health and community-based clinical research. 简介: We look in detail at the history of management and leadership theories in general and then consider what it means to lead and manage within a healthcare context. How is this different or similar to management and leadership in other industries? 简介: This interdisciplinary course focuses on sustainable innovation, introducing entrepreneurial students to the realities of problem identification and solution design within the complex world of healthcare. 简介: This course is designed to give the student a clear understanding of the pathophysiology of the menstrual cycle, fertilization, implantation, ovum growth development, differentiation and associated abnormalities. Disorders of fetal development including the principles of teratology and the mechanism of normal and abnormal parturition will be covered as well as the pathophysiology of the breast and disorders of lactation. Fetal asphyxia and its consequences will be reviewed with emphasis on the technology currently available for its detection. In addition the conclusion of the reproductive cycle, menopause, and the use of hormonal replacement will be covered. 简介: Creativity is an essential skill for the 21st Century that is innate in all people and can be nurtured. We constantly need new and better ideas for almost every aspect of our professional and personal lives. The goal of this course is to help you recognize, develop and act upon the creativity that you already possess. 简介: This innovative, trans-faculty subject teaches how information technologies (IT) are reshaping and redefining the health care marketplace through improved economies of scale, greater technical efficiencies in the delivery of care to patients, advanced tools for patient education and self-care, network integrated decision support tools for clinicians, and the emergence of e-commerce in health care. Student tutorials provide an opportunity for interactive discussion. Interdisciplinary project teams comprised of Harvard and MIT graduate students in medicine, business, law, education, engineering, computer science, public health, and government collaborate to design innovative IT applications. Projects are presented during the final class. 简介: This class provides a space for medical students and MD/PhD students, as well as HASTS (History, Anthropology, Science, Technology, and Society) PhD students to discuss social and ethical issues in the biosciences and biotechnologies as they are being developed. Discussions are with course faculty and with leading figures in developing technologies such as George Daley or George Church in stem cell or genomics research, Bruce Walker or Pardis Sabeti in setting up laboratories in Africa, Paul Farmer and Partners in Health colleagues in building local support systems and first world quality care in Haiti, Peru, and Rwanda, and Amy Farber in building patient-centered therapeutic-outcome research for critical but "orphan" diseases. Goals include stimulating students to think about applying their learning in Boston to countries around the world, including using the experiences they have had in their home countries or research experience abroad. Goals also include a mix of patient-doctor care perspectives from medical anthropology, and moving upstream in the research chain to questions of how to move discoveries from basic research through the pipelines into clinical and bedside care. 简介: Learn about the most important water treatment methods at household level, successful implementation strategies and about assessing the impact of Household Water Treatment and Safe Storage (HWTS). 简介: Behavioral genetic methodologies from twin and adoption studies through DNA analysis will be described and applied to address longstanding questions about the origins of individual differences in behavioral traits. 简介: The course will span modern neuroscience from molecular neurobiology to perception and cognition, including the following major topics: anatomy and development of the brain; cell biology of neurons and glia; ion channels and electrical signaling; synaptic transmission, integration, and chemical systems of the brain; sensory systems, from transduction to perception; motor systems; and higher brain functions dealing with memory, language, and affective disorders. 简介: Introduction to Psychology is a journey through all of the major psychological concepts and principles. The knowledge gained from this course will allow students to critically evaluate psychological research and have a more in-depth understanding of human thought and behavior. 简介: This course is an introduction to basic NMR theory. Examples of biochemical data obtained using NMR are summarized along with other related experiments. Students participate in detailed study of NMR imaging techniques, including discussions of basic cross-sectional image reconstruction, image contrast, flow and real-time imaging, and hardware design considerations. Exposure to laboratory NMR spectroscopic and imaging equipment is included.